Opioid Crisis and Government Response- Oberheiden, P.C. The Opioid Crisis Is Getting Worse. The Government Will Respond. 2018 is well underway, but we’re only just beginning to get a sense of what happened in 2016 in terms of national trends and death threats. Statistics take a while to catch up, especially when it comes to drug deaths, as they take a long time to certify. It has been evident for a while now that America is in a full-blown opioid crisis. That fact was already apparent in the cities hardest hit by abuse, but it wasn’t until the 2016 election that it really moved to the forefront of national attention. And despite growing awareness, the problem is getting worse. In fact, some experts had predicted that 2016 would become the first year in which opioid overdoses surpassed motor vehicle accidents as the leading cause of accidental deaths in this country. A new report from the National Safety Council (NSC) shows that it came very close, though not quite. There were 37,814 unintentional opioid overdose deaths in 2016. There were 40,327 motor vehicle accident deaths in 2016. But while the total number of deadly car crashes was larger than the number of opioid deaths, it was the latter that grew by an astounding percentage over the previous year. A similar report by the Centers for Disease Control (CDC) found a 21% increase in drug deaths from 2015 to 2016. The New York Times reports that 2016 saw the largest opioid death toll in American history. All indications point to 2017’s numbers being even worse. For the first time in a century, accidental deaths are now the third leading cause of death in the country, and drug deaths are almost entirely responsible for the change. That is an opioid crisis. Heroin and illegally trafficked synthetic opioids take much of the blame, but included in these numbers are prescription painkillers that trace back to real prescriptions from real doctors. And now Congress wants to take action. Indeed, the public is demanding it. 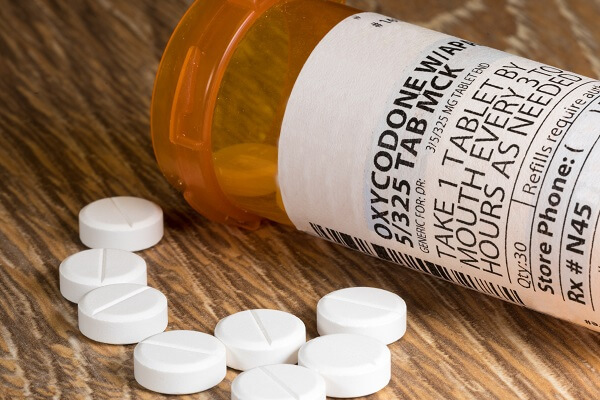 The U.S. Senate & Homeland Security & Governmental Affairs Committee, currently chaired by Ron Johnson (R, WI), recently announced that it will hold a hearing to determine whether Medicaid may be fueling the opioid crisis. The theory is that more money for Medicaid means a bigger incentive for doctor’s offices to turn into pill mills. The hearing is probably just a sign of what it is to come – even more steps by Congress and the government to fight back against this tragic public health disaster (and to politicize it). Undoubtedly, opioid crisis response will prove to be a leading political issue in the next election cycle. Below, we look at what this means in terms of criminal law concerns for pharmacists and physicians who are currently treating patients in need of opioid prescriptions. With demand for governmental intervention comes an official green light for federal law enforcement. The mandate is clear: audit, investigate, prosecute, arrest — get aggressive. Send a message. An increasing number of health care providers are encountering DEA agents, FBI investigators, prosecutors, and other federal law enforcement officials inside their very own health clinics. This is surely something they never dreamed possible (or perhaps only possible in a nightmare). It’s easy to imagine that these are all shady faux-MDs, using a fake name in a back alley and ripping millions of dollars off of taxpayers. But for every Dr. Conman, there are many more “suspects” who are good and decent doctors, nurses, pharmacists, or business owners. They simply come under federal scrutiny because the federal scrutiny is currently too intensive, too frenzied, and too unfocused. When wide nets are cast, innocent people get caught in them too. So too do people who have made a mistake, but only a small one — far from the kind that should be targeted in federal fraud or controlled substances cases. At Oberheiden, P.C., we have helped numerous medical professionals, pharmacies, and health care businesses in these very kinds of investigations, so we can’t overemphasize how real this threat is. And as the opioid crisis increases in severity, we think trumped-up medical prosecutions will increase too. If you or your medical clinic care for a large number of patients receiving Medicare, Medicaid, or other federal benefits, please understand that there is a nationwide crackdown underway, and you must be extremely vigilant so as to avoid a terrifying and potentially ruinous criminal investigation. Investigations stemming from the current opioid crisis can uncover evidence of many other alleged crimes. It isn’t uncommon for a clinic to be audited for one purpose only to have the government find some other discrepancy it believes to be prosecutable. The medical law defense firm of Oberheiden, P.C. has a significant record in addressing and defeating these types of criminal charges. We have helped clients get their cases dropped, bring their investigations to a close, save their medical licenses, and keep their reputations in a sterling state. Those are the same goals we’ll fight toward for you. We have extensive experience in these matters, and it is experience coupled with strategy that can make all the difference. Whether we are advising you on compliance to avoid criminal issues or are defending you against the prospect of prison, you can count on our firm to aggressively go after the best possible outcome. We offer free and confidential consultations, but time matters, so please contact us right away. Medical Law Defense Attorneys – Oberheiden, P.C.